On Friday Stu and I headed up to Rushmoor Bottom to mow the field by the Wellington Statue, which was a good opportunity to use both our tractors. 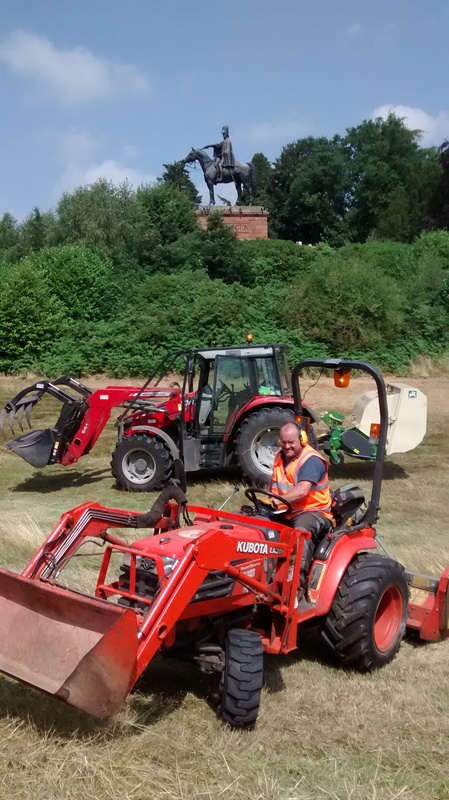 This entry was posted in Wellesley Woodlands and tagged hay cut, tractor, Wellesley Woodlands. Bookmark the permalink.